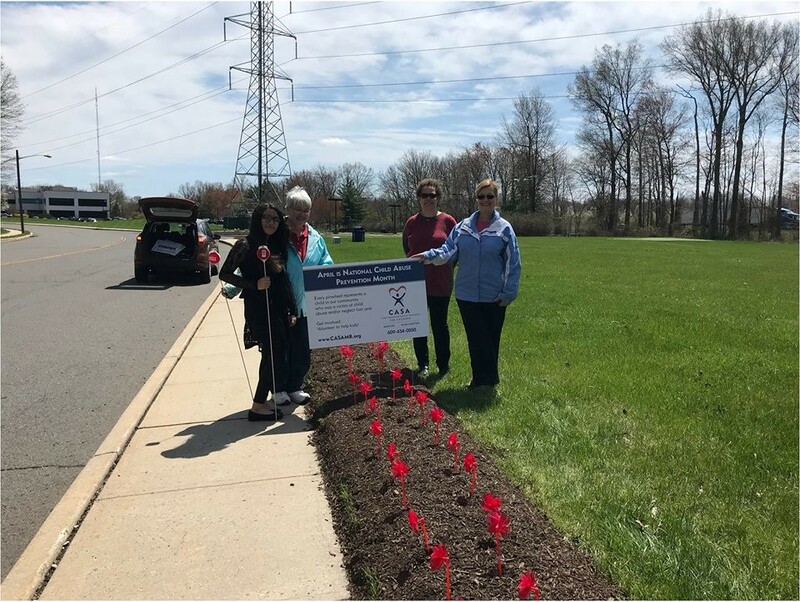 CASA for Children of Mercer and Burlington Counties planted pinwheel gardens this spring to highlight the children in out-of-home placement who have a CASA volunteer speaking up in their best interests. The pinwheel gardens are part of a national movement to highlight the thousands of children across the Nation who are in foster care at any given time. 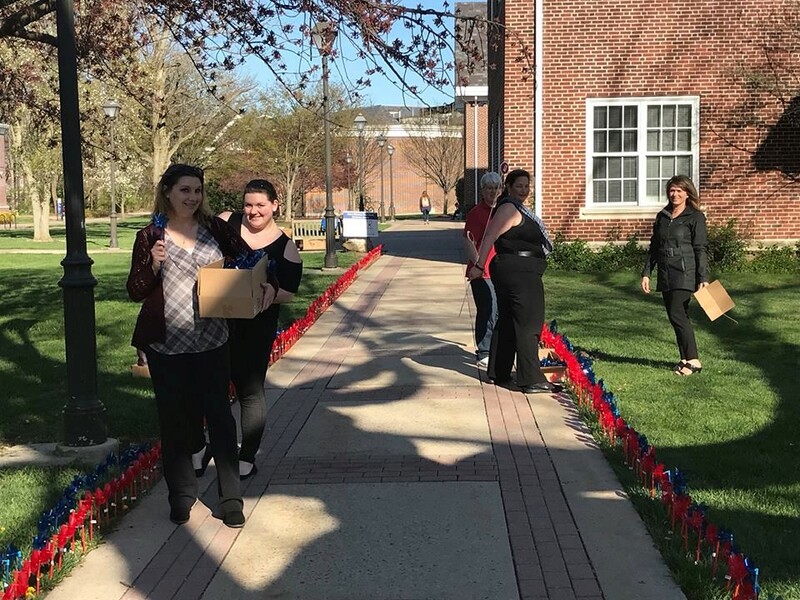 A Pinwheel Garden was “planted” at The College of New Jersey by CASA Staff to illustrate the children who have a CASA volunteer compared to those who still need a CASA volunteer. The number of children who need a CASA volunteer far exceeds the number who currently have a CASA to speak up for their best interests. A Pinwheel Garden was “planted” at the Princeton Pike Corporate Center by CASA Staff and Friends with 420 red pinwheels to illustrate the children in foster care for Mercer County as of June 30, 2017.